Unfortunately, this year we won’t have the pleasure to attend Raghu’s show. Indeed, he couldn’t apply in time for his Visa. I would like to thank Andrew Morgan to have accepted to present his talk “MySQL & NoSQL – best of both worlds” to replace “ENOMEM: Will databases ever stop asking for more memory” from Raghu. Respecting the logic, the next talk should have been “Introduction to MySQL Binlog Events” from Neha Kumari, but once again it was too late for Visa appliance. Logically, Andrew was the next one and he agrred to present his talk even if the notification was very short. My dear colleagues, Liz van Dijk, Dimitri Vanoverbeke, Kenny Gryp, also known as the “Party Team” are organizing the “Fosdem MySQL & Friends Devroom Community Dinner” ! Like last year, we’ll be renting a private space to allow for easy socializing. However, in light of this year’s 20th Anniversary of MySQL in May, as well as MariaDB’s 5th Anniversary in February, we want to take things to the next level, and give the night a true community feel. Our new location is available to us until 2AM, and is part of the ICAB buildings, closer to the ULB (more detailed directions on the eventbrite page). As such, prepare for an evening of food prepared for the Community, by the Community. That’s right, your hosts will be firing up the pizza ovens and serve you all with the best pizzas Belgium has to offer. The listed ticket price includes all-you-can-eat pizza (or until we run out… go ahead, we dare you), as well as a great selection of Belgian specialty beers and other beverages. We’ll make sure that vegetarians have plenty of options, but anyone intending to join us with special dietary requirements, please let us know ahead of time! As you stuff yourselves with glorious amounts of pizza, be sure to leave some room for dessert, as there will be a special birthday surprise in celebration of MySQL’s 20th and MariaDB’s 5th anniversaries. In the interest of transparency: The price we’ve set is based on an assumption of a certain amount of people attending, based on last year’s attendance. If the amount of people ends lower than our target, and we end up having a surplus, any remaining funds will be donated to the Fosdem organization like last year. 1) We need to be able to give ourselves a rough estimate of the amount of attendees ahead of time, so we can make sure we buy/prepare enough ingredients for everyone to enjoy. Free signups tend to make that number a bit less reliable. We want to make sure there is enough food to go around for everyone attending! 2) Stress-free financials on the night of the dinner! We all know the effects of Belgian Beer on arithmetic skills. Flash your ticket, get your food. 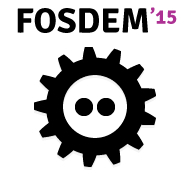 The devroom’s schedule is now published on Fosdem’s website. As you can see, it will be a heavy day full of good content. You can also notice that there won’t be any lunch-time break. We advise you to then bring your lunch (like a sandwich) with you in the room and eat it between talks or prepare in advance when you will take your break during a talk you don’t want to attend (is it even possible ?). You can download the ical here. 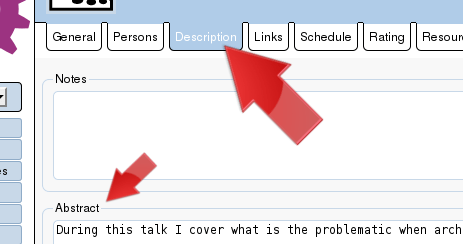 Thank you for having submitted your talk proposal for this edition of Fosdem MySQL & Friends Devroom. 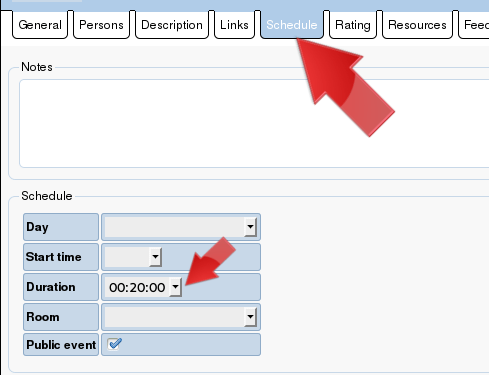 This is the list of talks ordered by rating. The first 18th were selected. Two talks from the top 18 were not chosen because the speakers (Luis Soares & Stéphane Combaudon) were already giving two talks. Thank you to the Committee to have read and rated all the submissions. The schedule will be published as soon as all speakers confirmed their venue.